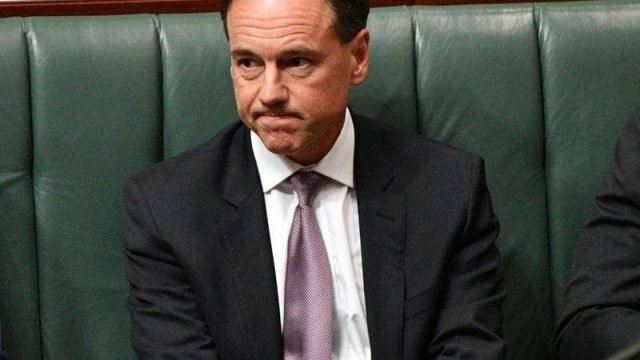 Greg Hunt winds back My Health Record after serious backlash. Ding dong the witch is, well not dead, but certainly quite wounded. Overnight most of the teeth was removed from the legislation of My Health Record, with Health Minister Greg Hunt promising that law enforcement bodies will now require a court order to pull your medical documents. Iran won’t jump into bed with Donald’s America…yet. Speaking of antagonism birthed from incompetence, it seems that America’s Next Top Model Foe, Iran, has made it clear that they’re not that keen to discuss the finer points of their relationship, calling the Donald’s attempts to mend fences as a ‘humiliation without value’. I don’t really have a backing in geopolitics to give a smart answer, but I can give the right answer. Paired with the below tweet, the behaviour seems familiar. It’s exactly the method of courtship that primary school children have with each other. They don’t know how to articulate their feels, so they bridge that gap with a yanked ponytail. Amazon announces the end of our civilisation, tapes one robot to another. We all possess that nonsense fear that our technology will become mobile and murder us in our sleep. While we’re happy to let them clean our floors, or fill in the gaps of our intelligence, we don’t want them driving. Stay in your lane, robots. The creator of Amazon, the man who wears money, Jeff Bezos took to Instagram to announce the end of our species, which is unmistakably an Alexa on a Roomba. Alexoomba? Now, apparently, the release was covered in blanket mirth, as he blamed the quick-hack-tape job on his kids. Sure, Jeff. We’ve all ordered from Amazon before. We know what you lot do with packing tape. So, yes, we should take this very seriously. A hyper-intelligent-super-assistant that can pursue you around the house, and finally, to the edge of your species’ time.